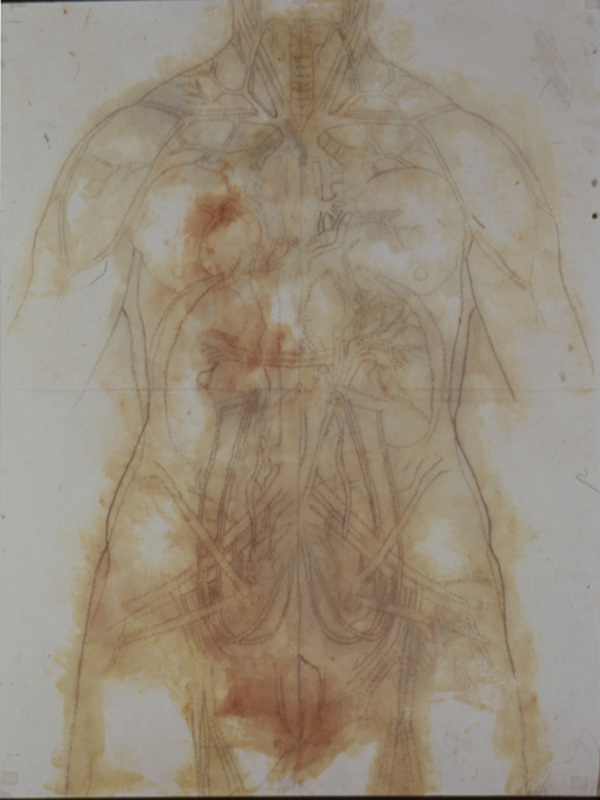 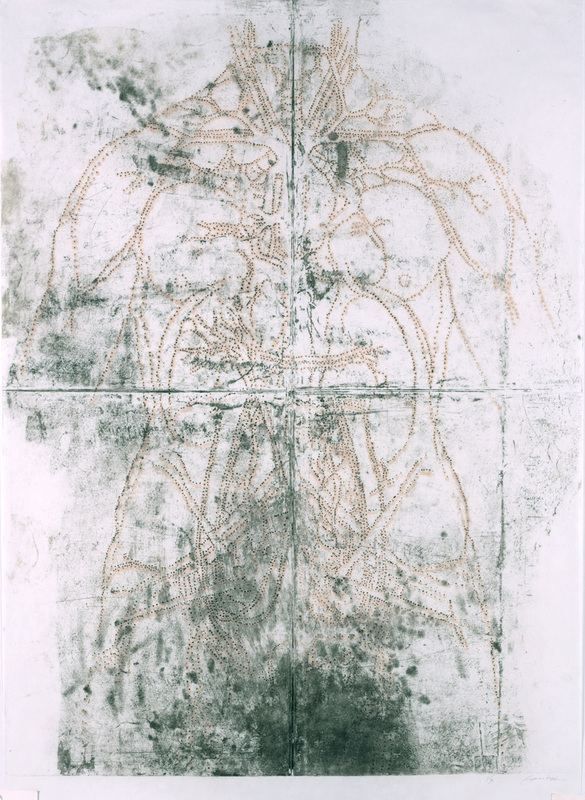 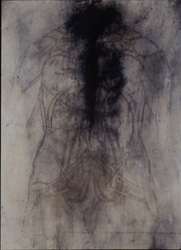 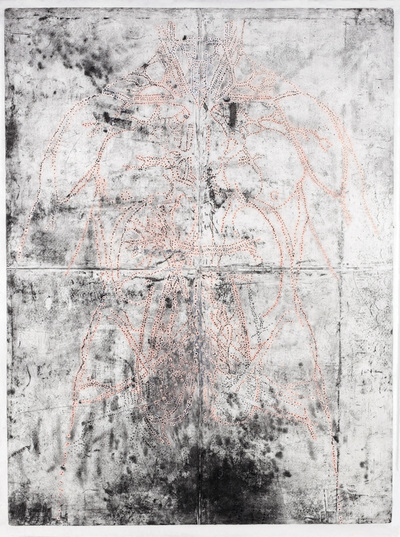 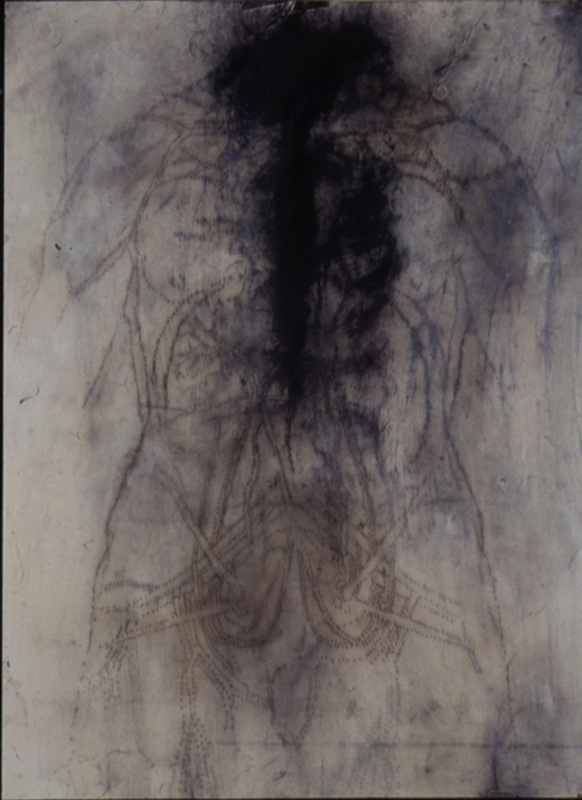 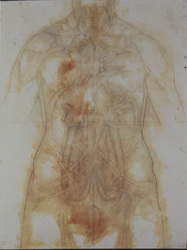 The prints and drawings from the series Dissection of the principal organs and arterial system of a woman (verso), are an over-lifesize remaking of Leonardo da Vinci’s drawing of the same name. In the prints, the copper plate has been folded and pricked as he had done with the paper cartoon; each “prick” physically etched into and through the plate. 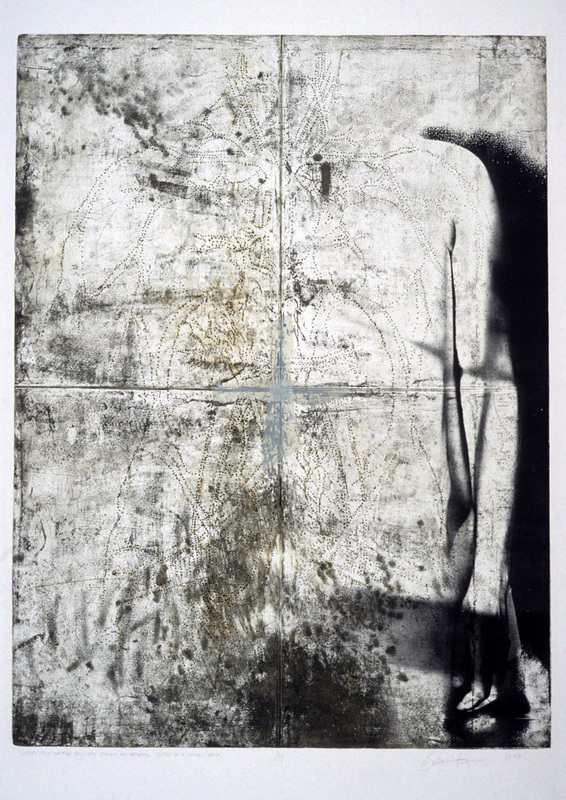 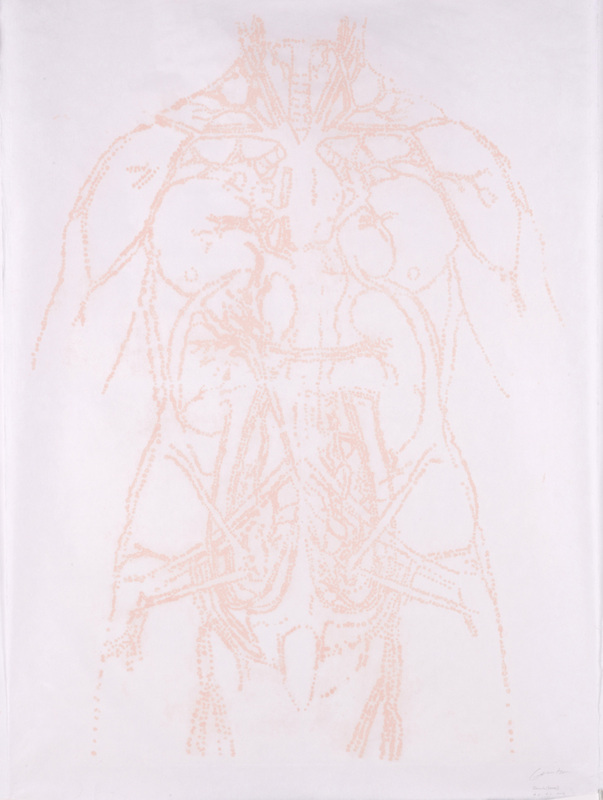 The drawing, in blush pink, contrasts with the history of the etching and reminds us of the tenuous corporeal and symbolic “body” being represented her.